Whether you plan to put your home up for sale soon, or simply want to freshen up its appearance, curb appeal tips for home lighting can help. Perception is everything and the right lighting can greatly alter the appearance of a space – both outdoors and indoors. Unless you are a licensed electrician, your best and safest bet would be to hire an electrical contractor. In many metropolitan areas, there are a number of licensed professionals who can help. For home lighting options, conduct a walk-through of your house – both inside and out – to get an idea of where additional or alternative lighting would be most advantageous. Do this walk-through during the day as well as at dusk and nighttime to get a good idea of your current lighting situation. Pay close attention to dark corners that may need light as well as those areas that fall in shadow. Investing in interior decoration is not enough. You need to couple the décor with the right type of lighting as well to impress your guests and visitors. Some people think that choosing lighting is easy. But this is not entirely true. First things first, you need to understand the importance of choosing the right lighting. The primary purpose of lighting is to help people see. However, the right type of lighting can also be a mood changer. For example, you and your wife have had a tussle in the morning and want to say sorry in the evening, dim the lights and set the mood to impress your partner with a little bit of wine. All houses have a certain amount of natural light and ventilation. While investing in lighting solutions, take into account the natural light coming into your home. If you have chosen the right home, chances are you will save considerably on the lighting solutions. If you are after a dramatic look then the key is to choose lamps that have light bulbs with a high strong beam and that can be directly focused to highlight only certain objects. Drama is created using light through contrasts so the idea is to not have too much ambient or “stray” light. When it comes to deciding on a look for their homes, many people reach for the classics. Classic items are items that will always look good. They want pieces that need little care, blend well with other items in the home and offer something special in any room. This is very much the case for the sheepskin rug. This is one rug that has much to offer. 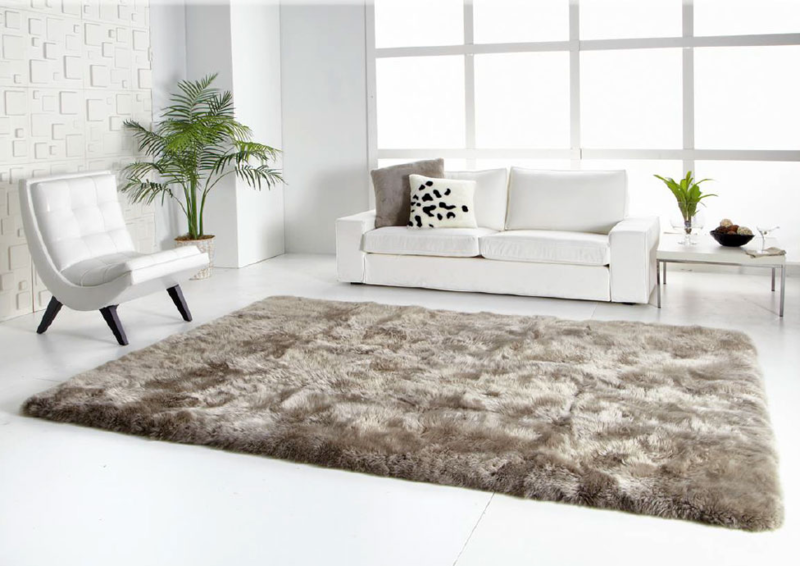 From the wonderful texture to the glorious color to the impressive lines, the rug stands out and keeps any room up to date while also paying homage to the style that will be in style. Nowadays, one could approve a better design, which reveals the worldwide influences, with amazing software provided in the internet. One could easily obtain useful home decor tips, which are tried and experienced, through regular visit at different web sites. Whilst it would be so much easy for us just to shop online, it is recommended that you make a list: compare the prices and the designs that are up for the sale. These may be cheap but more often than not the quality is compromised. Before the development of color, ramparts and flooring were plainer: home experts simply recommend going for the basics – from the wall painting down to the furniture color. And these should be coordinated, if not match. Nowadays home decor tips strive to become bolder: our choices seem infinite. Contemporary, assorted, rustic, intermediary, fashionable, loud, and quirky; these are but some of the names that dominate the home design industry. You come home late at night from a hard day at the office. All you want to do is relax and put your feet up on your comfy sofa for just a second. You park your car in the driveway outside, and make your way toward your front door, when you trip HARD over a rock in your path. You tumble for a moment, and luckily catch yourself by grabbing onto your rose bush, thorns and all. You think to yourself, I guess it beats knocking out a few front teeth by falling onto the concrete. This could have all been prevented if you ONLY had listened to your wife and gotten those home lighting automation systems. You know the kind that automatically come on when you get close to the door, or turn on when you walk into your home. They are not just very convenient, but also can make your life much safer in the long run. What are home lighting automation systems? Home lighting automation systems is a way of automating things in your home like the lighting, home security, electronic blinds, climate control, and home theatre systems…all from one control system. Home improvement also concerns room lighting. There are many purposes of home lighting. Most homeowners pay attention to their lightning fixtures while other neglects this certain aspect of the home. Aside from aesthetic purposes, home lighting is also for security, practicality and functionality. The right lighting can enhance the appearance of the room making it usable as well. There are lighting techniques that can make the room appear to be larger. While some would make an area look intimate or inviting. If you shop at the home section of a mall, you can find impressive collection of lighting fixtures. This is perfect if you are trying to achieve a certain look to match your decorating style. A house may never be truly comfortable unless you get the lighting right. You need to know how much light you need in order for your home to be appropriate for your needs. Remember that poor lighting can undermine the efforts that you have put in decorating your home. Also, you can get your tasks done as quickly as possible when you have the best possible lighting setup. Keep in mind what you are using the particular rooms for. Different rooms in your house can have different lighting setups. This is an ideal thing to do as each room might be used for a specific purpose. For example, the kitchen has to be well lit. You wouldn’t want to meet accidents while cutting with your kitchen knife or while you are handling hot pots. Bedrooms can have bright and dimmed lighting. If you do a lot of reading and studying in your bedroom, you will need sufficient amount of light for these activities. However, if you are already in the mood to rest, a dimmed lighting setup can be best to have. Make use of lamp shades and recessed lighting installed on walls. You can greatly enhance your home decor with a few tips with the use of Feng Shui. Feng Shui is using ying and yang to activate the positive energy in various areas of your life so it is quite easy to use lighting with Feng Shui to achieve this. To bring fame to your life make sure to add a bright light in this area (S). Basically the light needs to face up and highlight a particular part of that area. For example if you want to highlight your life goals, you need to illuminate an object that symbolizes that. For career enhancements you need a medium light using blue light. This should be facing north. When it comes to attracting wealth (facing SE), you need to place a vertical light in rectangular form that gives the impression of growth. For knowledge (going towards NE) increase, you need a small light source that illuminates your work straight on. You can achieve that with a task lamp, including either a book lamp or a desk lamp. Choosing the right lighting for your home is important. The correct lighting can change the mood and look of a room, and in the case of rooms like kitchens, bathrooms, and utility rooms, lighting is essential for everyday tasks within the home. A dark and dingy hall way could be brightened up and make your entire home seem welcoming with the right lighting. Here are some tips to help you with your lighting choices. The types of light fitting and bulbs are considered. Energy efficient, bulb brightness and the type of light will all affect the sort of bulb and fitting you will need. Custom lighting also often uses unusual combinations of bulbs because they are design pieces that’s made to beautify as well as functionality. Consider you budget when you are choosing lighting. You will now how much you are willing to spend. The type of room you are lighting will also affect your budget. One of the most important parts of finishing your home is the lighting aspect of it. Your lights do more than just light the home; they add security and make your space a more comfortable place to live. There are many factors to deciding which lighting fixtures would best fit your design. Each room will require you to assess what you’ll be using it for and then purchasing light fixtures to meet those needs. Having some knowledge of the different types of lighting will help in making an informed decision. You’ll better be able to figure out what would work and what would be a waste of time and money. You should also take into consideration that some rooms may have a dark corner even after you have purchased lighting fixtures for it. In this case you may want to consider going with a table or floor lamp. It may even be to the best of your interest to try and use different color lights in areas you want to create a dramatic appearance. With the right lighting combinations you can create a unique look that is ideal for your home. Lighting is what makes a simple space look beautiful and a beautiful space innocuous. Therefore, when planning your home you need to plan the brightness aspect to ensure your home is cozy and your artwork and furnishings are highlighted in all its beauty. There are two aspects to home lighting – sunlight and lamplight. 1. Your windows are great sources of sunlight. So you need to ensure that this light is not blocked by secondary glazing, heavy curtains, etc. Instead opt for blinds, light drapes, or shutters. 2. You can use a mirror to effectively brighten up your room by placing it opposite or near to the window. 3. Flooring is another significant factor. Carpets absorb light, whereas marbles and painted floors reflect it. 4. The colors of the floor and walls also make a great impact with regards to the space perception and lighting of a room. White and lighter shades make the room bigger and brighter, while dark shades have the reverse effect. A handful of basic home lighting elements that are crucial to creating a quality living environment include proper lighting dimensions, dimmable lights, and natural lighting. For starters, natural lighting should be utilized as much as possible. Not only does it create a more welcoming, comfortable room, but it also reduces electricity costs caused by lighting. A few areas in the home that can be lit up easily using natural resources include sunrooms, which are often areas where people gather in the home. Also, the living room can be lit with a warming glow by using the fireplace if it is available. In addition to the savings from using less electricity, the fireplace will decrease the cost of heating the home. Another source of natural sunlight is a skylight. These can come in the more prevalent flat, window-like models, as well as newer styles. Some of the newer skylights come as tubes, which look much like recessed light. This style of recessed, natural light is especially suitable for kitchens and bathrooms; it is less conspicuous and there is also a lower amount of maintenance in comparison to the traditional styles of skylights. Deciding what type of home lighting you need to buy can be tough if you don’t have a rudimentary understanding of the three basic lighting categories in the home. Even though there are thousands of different light fixtures available they fall into one of the three task, accent, or ambient. The first is task lighting. These fixtures are usually single lights that are directed at the work surface. You’ll find this type of light best used in the kitchen or anywhere you need a specific type of light that illuminates your work. It also works great for reading purposes. The second category is accent lighting. These types of light fixtures are primarily used to focus attention on a specific piece of art work, painting, or picture. The third category is ambient lighting. This type of light fixture provides a general type of light that illuminates the whole room. A properly lit home is necessary for many reasons. It not only makes the home seem alive, but it also brightens up the home. It can emphasize the good points of the room and take attention away from areas you don’t like. But lighting goes beyond that, it can bring a good energy into the home. Here are a few home lighting tips with feng shui that can help you utilize that energy. The theory behind lighting and feng shui is about chi energy. Light is important in balancing the chi energy in a home, the yin and yang. Windows are a big help in bringing in light, but sometimes there are not enough windows or enough light entering the windows and this is why it is important to add extra lighting to the home. With lamps you are able to place them in powering places to help the chi energy keep balanced and flow. There are many functions that lighting in your home must perform. From illuminating work spaces to creating a warm glow for guests and family, the right home lighting tips will make the difference in a space that is inviting and fully functional. When determining the best way to light rooms in your household, it is important to understand the different types of lighting available. Once you are familiar with these categories, you can use home lighting tips to create a space that is cozy and practical at the same time. General lighting is the light that is used to illuminate a space, such as with an overhead fixture. The illumination offered by this type of lighting allows you to see around a room quite easily, although it may not be sufficient for some tasks and it might not create the ambiance you are looking for. Most home lighting tips will suggest combining general lighting with other types to create function and warmth. If you are wondering what are the home lighting tips for 2010, read on. The trend in home lighting this 2010 exemplifies the use of several light fixtures to achieve a fashionable layer of beautiful light effects. It involves concealing the light on walls and floor areas and the effective distribution of light in a room depending on the purpose that the room serves. The more control the user has on the source of illumination, the more energy efficient the home lighting is. When installing home lighting, it is important to plan out what a certain room will be used for to determine the level of light you will use. For an open plan environment, it is advisable to create layers of lighting by using dimmers. This way you will be able to light three different areas such as the dining room, the living room and the kitchen area all at the same time. The bedroom is the most intimate part of the house, so it is best that the privacy of the couples is kept intimate with the lighting of the room. In order to improve the current lighting condition of the room, it is best to know the home lighting tips that will enhance its color and vibrancy without invading the privacy of the room, while at the same time giving the room interior that perfect, calming and romantic ambient that it needs. The first thing to remember with regards to proper home lighting tips is to take into account the needs of the people who are living in a particular home. Not everything about home improvement centers around improving the aesthetic aspect of the rooms. It is more important that the room caters to the needs of the owners in the first place. For example, when looking for the type of lighting to suit the bedroom, it is important to know if the people that will be sleeping in the bedroom have bad eyesight, so that the proper illumination helps with reading. Improving the overall look of the house is actually not a hard thing to do if you know how to experiment with your lighting by using various light fixtures in different rooms. There are actually several home lighting tips that will help you create a different ambiance in your house. This way, you wouldn’t necessarily need to spend a lot of money buying expensive furniture just so you can improve the interior of your home. Below are some of the home lighting tips which will help turn your house from being “just normal” to extraordinary and really welcoming.